Videogames cost too much, according to Sega A&R's head of content Darren Williams, who has confirmed what we have all known for far too long. In a London Games Week interview with trade site GamesIndustry.biz Williams said software price points is currently one of the biggest challenges facing the games industry. "I think the entire industry is hoping that Xbox 360 can find a way to broaden its appeal, to go mass market," said the man from Sega, adding that, "everybody is waiting to see what PS3 can do. 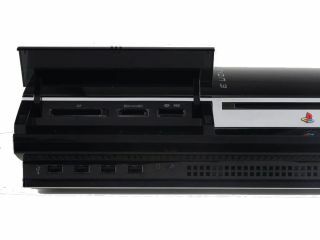 Can PS3 return to what the PlayStation 2 did in terms of installed base and the wider adoption of gaming?" "I there are still barriers to entry in the industry, and I don't think we're necessarily accepting of what those barriers are," he continued. However, Williams confirmed that Xbox 360 and PS3 games are "luxury items" because of their relatively high cost (£30-£45), he was a little more circumspect when asked what the ideal price of gamse should be. "I'm not saying GBP 15 for a PS3 or 360 game, I'm sure our business analysts would have a much better idea of where that sweet spot it, but we still feel quite expensive - which means we remain in a ghetto."